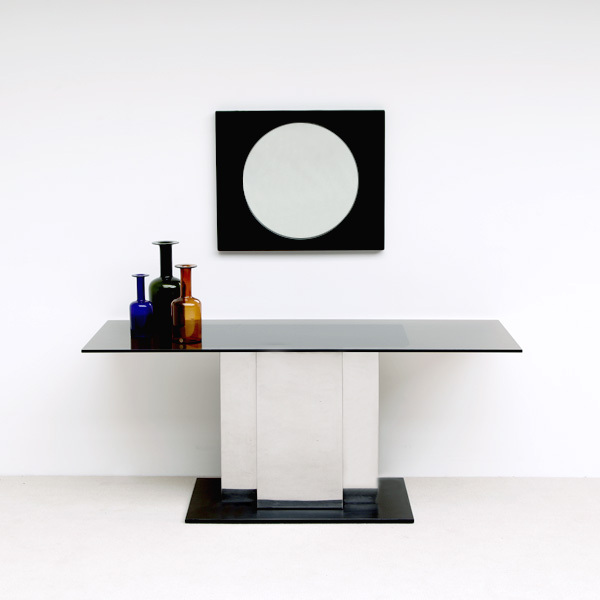 In the manner of Willy Rizzo a Large console with clean lines and geometric shapes. Stainless steel base and smoked glass on top. This nice contemporary console fits perfectly in any modern classic interior.